Yorkshire is the UK’s biggest food producer dominating a number of food sectors and home to some of the world’s best companies. There are more than 15,000 companies in Yorkshire’s food and drink sector – the largest concentration in the UK. The food and drink industry is the region’s second largest sector and employs over 200,000 people. There are also over 1,100 food and drink processing companies, many of which are small niche manufacturers producing some of the region’s local favourites. Troy Foods are a private family owned SME with three locations based in Leeds, who produces freshly prepared salads and vegetables to manufacturers and retailers throughout the UK. 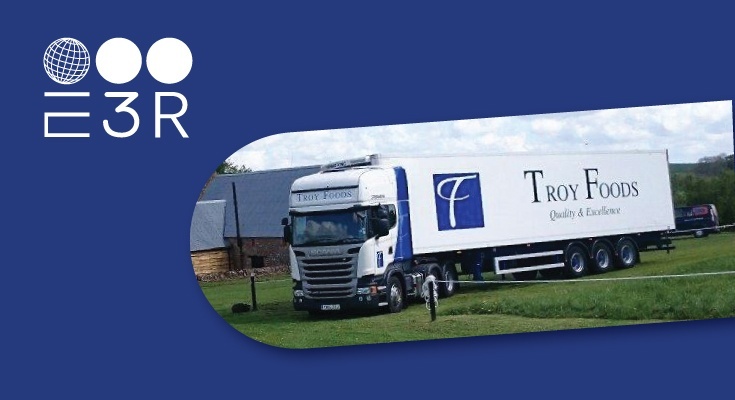 “Troy Foods have grown year on year and we are looking to continue this growth with plans to hit £100M turnover over the next five years. We aim to achieve this by acquiring new business and through natural growth of our existing customers. We are at the forefront of innovation with our products having a fantastic NPD team that develop the most innovative and market leading products. We also invest heavily in market leading technology throughout the business and new sites for development. Regardless of the growth, working in Food is fast paced, therefore it is key we work with a proactive recruitment partner like E3 Recruitment. In the past we have worked with numerous agencies, but due to E3R’s understanding of our business requirements, they have secured the number one place on our Preferred Supplier List. Tracie and the team at E3R have worked tremendously hard at headhunting some of the industry’s best candidates that suit our quirky business personality and needs.